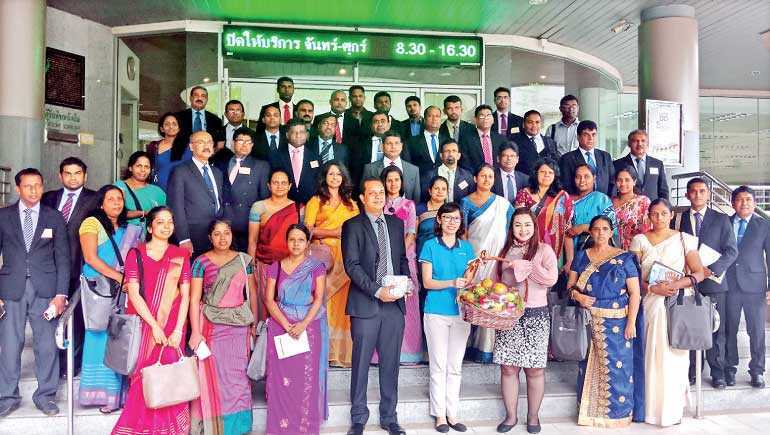 The Postgraduate Institute of Management’s (PIM) international program on management for Sri Lankan public administrators was conducted jointly with the Kasetsart University, Bangkok, one of the top five universities in Thailand, for the tenth batch of participants. The program focused on crucial management processes and observed the exemplary practices adopted by some key industries and government departments in Thailand. Participants got the opportunity to visit and exchange views with officials of the Thailand Research Fund, Export-Import Bank of Thailand, and the Kasetsart University’s Green Library. The program was in line with PIM’s strategic partnership building initiated by PIM Director Prof. Ajantha S. Dharmasiri. The program in its entirety was coordinated by PIM Faculty Member and Management Consultant Dilhan V. Goonetilleke.